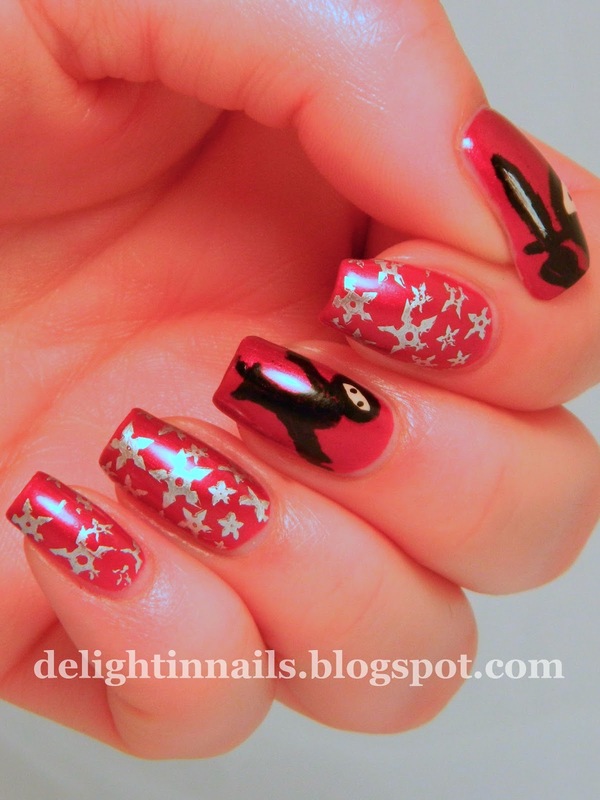 Delight In Nails: Golden Oldie Thursday - with a silver accent - Ninjas! 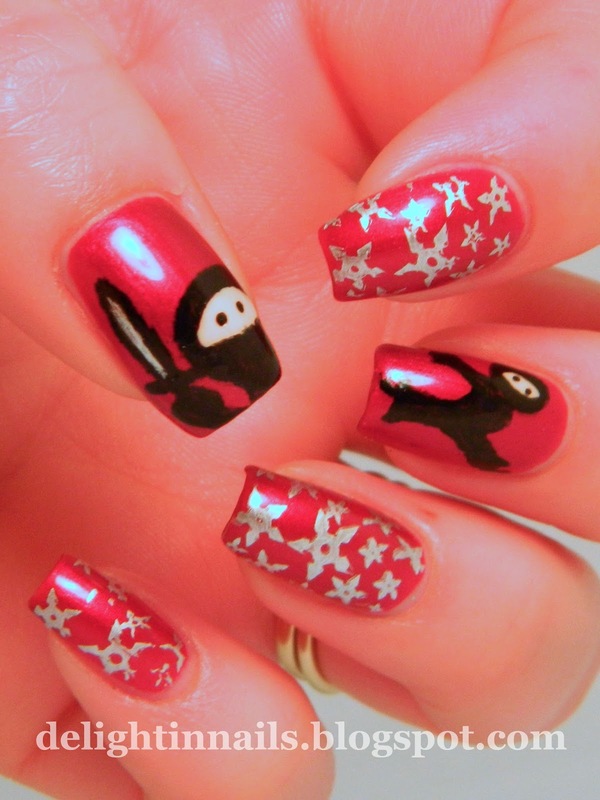 Golden Oldie Thursday - with a silver accent - Ninjas! I have been dying to use this stamping plate, and finally I am busting it out. 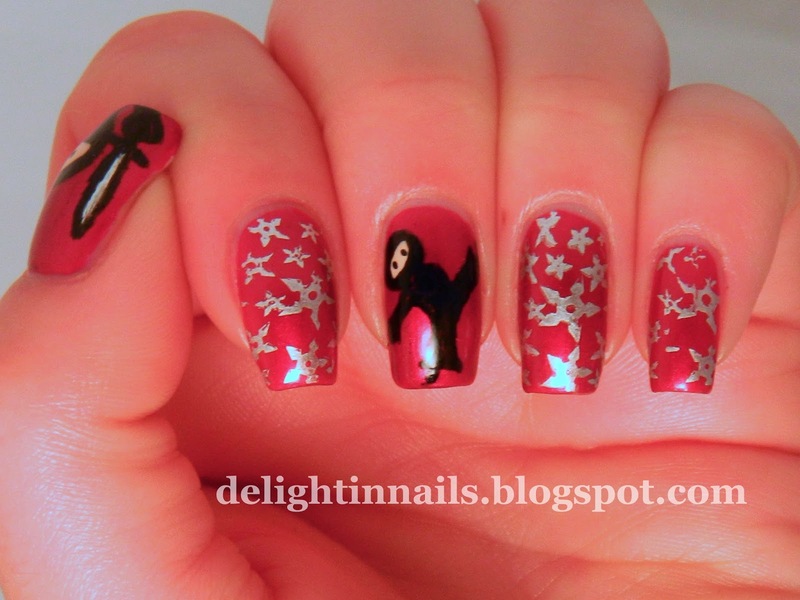 I feel like these are some of the most badass nails I've done in a long time!! This image is from Mash-47. Anyway, this mani has two golden oldies - Sally Hansen Heartbeat Creme and Pure Chrome. Both of these polishes are ancient. The chrome is from Sally Hansen's very first set of 'chrome makeup'. My dad gave this to me. He works for the company that made the pigment for the polish. Heartbeat Creme is one that I have had for at least 8 or 9 years as well. Here is Heartbeat Creme on it's own. It's a good polish, and it was still nice and thin even after all these years. Thanks for looking and be sure to check out what everyone else did with a silver accent!